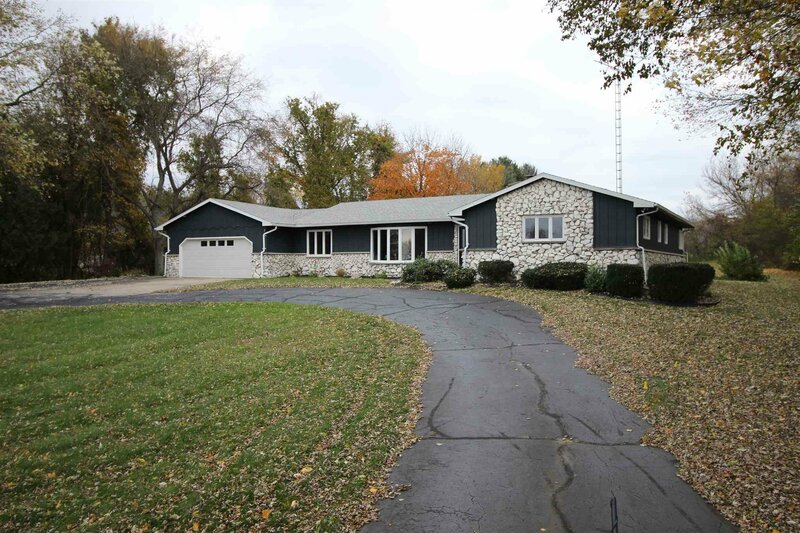 Pull up on the horseshoe driveway to this sprawling ranch home situated on five partially wooded acres. This property combines a refined and elegant indoor space with the natural beauty of the countryside. Close enough to the city to be convenient but far enough out to offer tranquility, the location is perfect for those who want the best of both worlds. Original natural stonework throughout the home is complemented by the use of granite, stainless steel, and quarry tile in the updates. Outdoor features include large poured concrete patio, attached 2 car garage, and 1800 sq. ft. pole barn. Acreage is partially landscaped with additional wooded area perfect for hunting or hiking. Too many features to list here - this property is a must see to appreciate! Listing courtesy of Century 21 Affiliated. Selling Office: RE/MAX 100.